Pioneering the concept of the modern research university, Johns Hopkins is often considered to have one of the best medial education programs in the country. The nursing program here is ranked the top in the nation among peer institutions. Students are able to take part in premier research using state-of-the-art practices, and alumni often stay connected to maintain a mentoring network for new students. Among Ivy League Schools, University of Pennsylvania was the first to offer baccalaureate, masters, and doctoral degrees in the field of nursing. The student-to-teacher ratio is kept very low, a positive for the learning environment, but makes for strong competition when applying for acceptance to the program. The nursing degrees here are also very flexible so that you can major or minor in other subjects, as well. While a traditional school, the University of Washington offers an entirely online early childhood degree program. Like many other schools on the list, they offer strong opportunities for hands-on research with professors and mentors coupled with a strong learning environment. The University of California at San Francisco is a well known school with a number of high performing faculty members. As a result, this program is a rich and rewarding experience for the aspiring nurses. There is also a good chance of placement after college in the surrounding city, which has one of the highest starting salaries in the nation for nurses. Not only is UNC's program rated fifth in the country overall, the school is also ranked as the best for awarding degrees to African American students. Graduates also find a healthy job outlook after graduation with nurses in increasing demand within the Research Triangle area (Raleigh, Durham, and Chapel Hill). 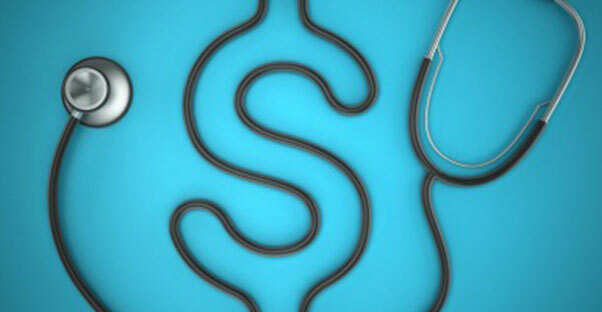 North Carolina nurses also earn some of the highest salaries in the nation. Ann Arbor's nursing program is among the fastest-growing in the nation. With a new state-of-the-art building including classrooms and labs, students here have some of the best equipment to practice with and perform research. Additionally, the school has high profile partnerships with the National Institutes of Health and the World Health Organization. Duke's nursing program also benefits from being part of the North Caroline Research Triangle. The school was one of the first to offer a graduate degree in nursing, way back in 1958. Duke also has an accelerated bachelor of science program lasting only 16 months for any student that already has an undergraduate degree. OHSU benefits from five regional campuses across Oregon as well as as virtual classroom for students. Like many places in the nation, Oregon is experiencing a nursing shortage. As such, the university also boasts a rural medical program with hospitals outside of major metropolitan cities. OHSU is also part of the new Interprofessional Initiatives program which revolutionized patient care. As a member of the Ivy League schools, the University of Pittsburgh has a reputation for high academic excellence. Be forewarned before applying, however, as over half of the entering class each fall comes from the top 10% of their graduating classes. Competition for acceptance is fierce. The school also hosts and awards benefit recognizing excellence in nursing among healthcare institutions, promoting and celebrating nursing in western Pennsylvania. Another Ivy League school, Yale, too, prides itself on excellence in academic research and education. Yale offers hybrid and online courses in addition to the traditional classroom setting. It is also one of the more premier research institutions offering hands-on learning opportunities for students as well as quality research to observe and study.